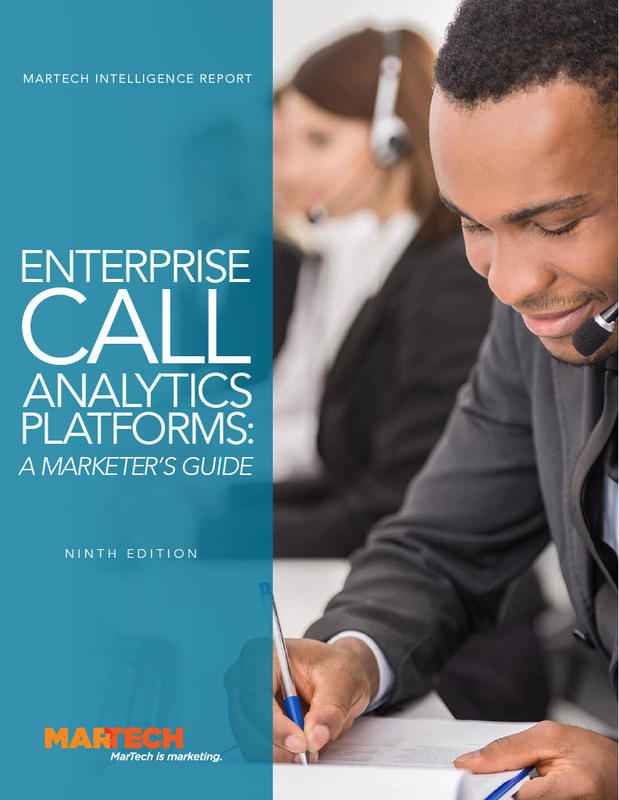 MarTech Today''s latest publication of the "Enterprise Call Analytics Platforms: A Marketer’s Guide" examines the market for call analytics platforms and the considerations involved in implemention. The 40-page report reviews the growing market for call analytics platforms, plus the latest trends, opportunities and challenges. Also included in the report are profiles of 12 leading enterprise call analytics vendors, pricing charts, capabilities comparisons and recommended steps for evaluating and purchasing. 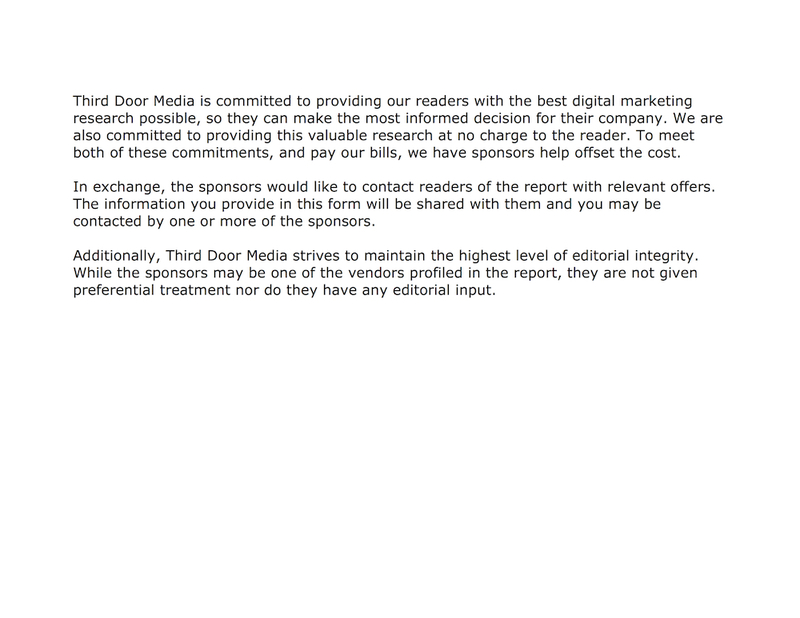 Third Door Media conducted numerous in-depth interviews with leading vendors and industry experts in April 2018. Are you currently evaluating call analytics software? Yes, I want to receive CallRail communications by email. Yes, I want to receive Invoca communications by email.